We aim to understand membrane properties and protein features that mediate the specific binding of proteins to droplet monolayers. We use reconstitution assays to probe the interaction of purified proteins with model membranes made by droplet interface bilayers or liposomes. We also probe in a cellular context whether the established parameters affect protein localization. 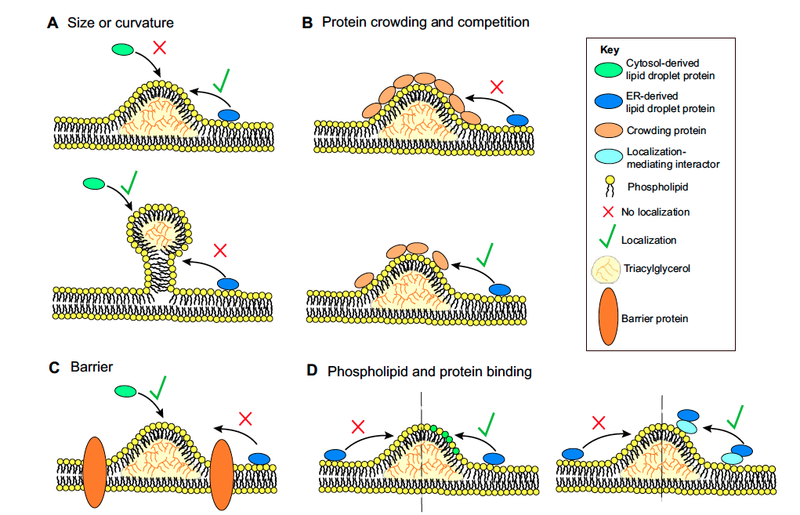 One of our current focus is to understand how lipid surfactants and membrane physical properties are involved in the formation and utilization of cellular lipid droplets. We are presently developing droplet microfluidics systems to generate high throughput model bilayers for detecting protein activity/functionality.